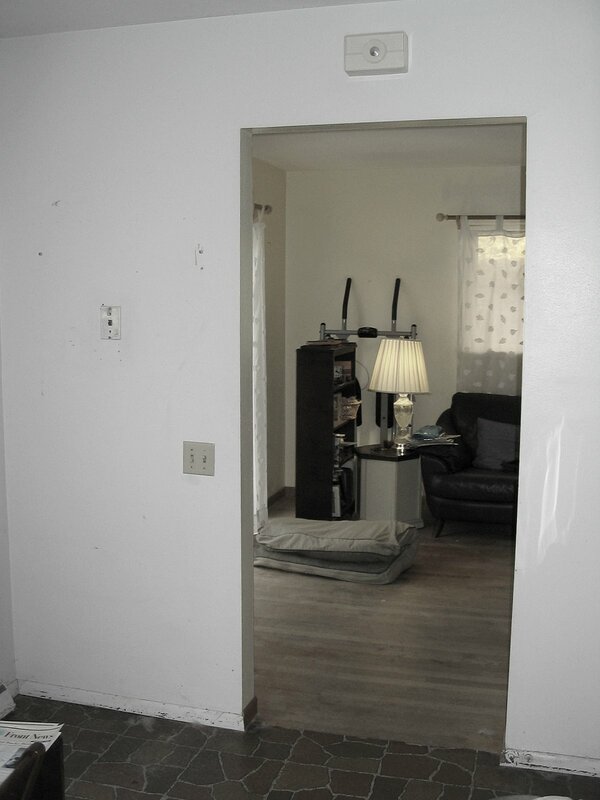 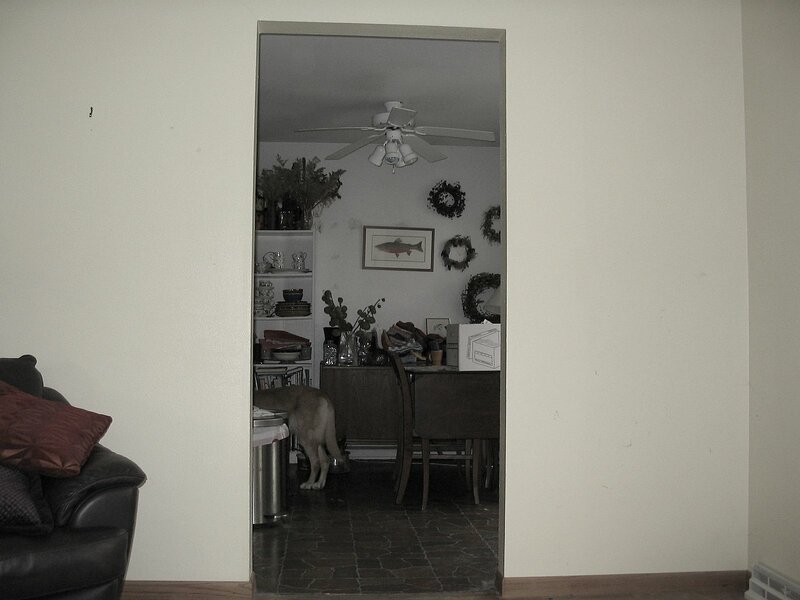 This early 1960’s home felt claustrophobic and the old sliding doors were drafty and no longer operated smoothly. 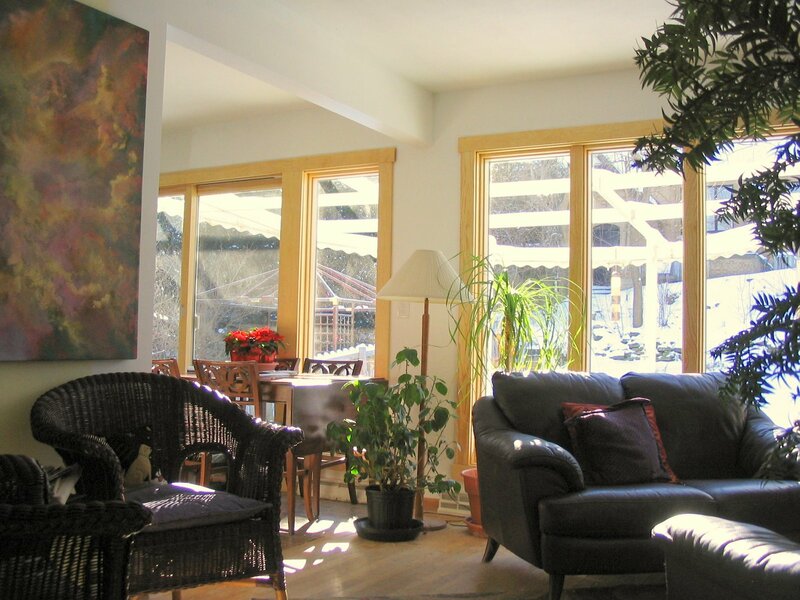 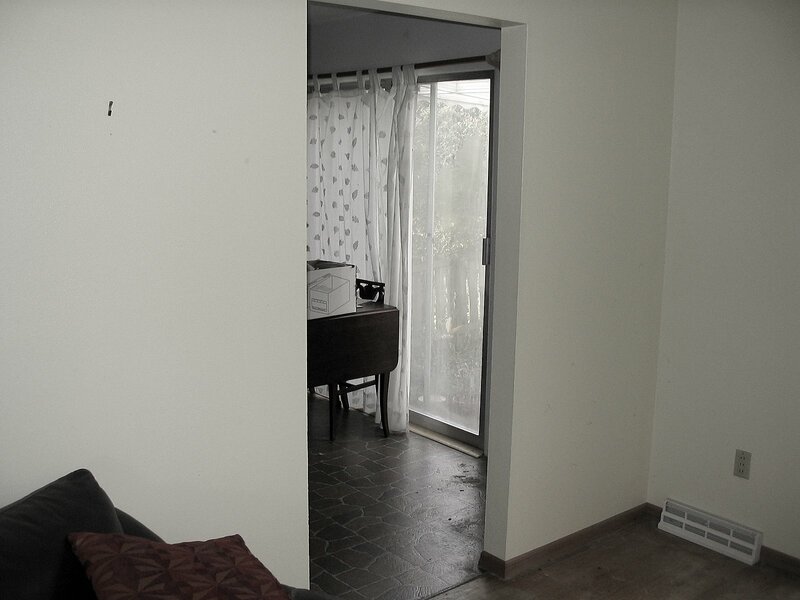 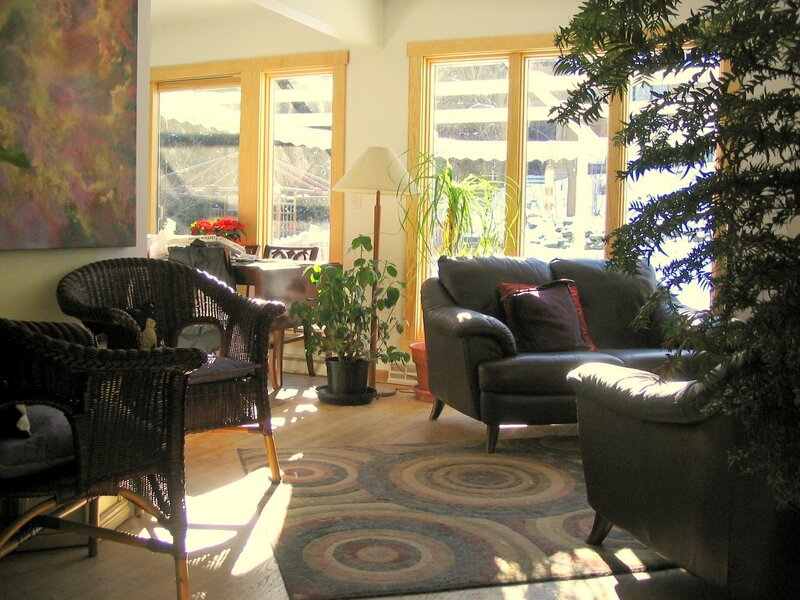 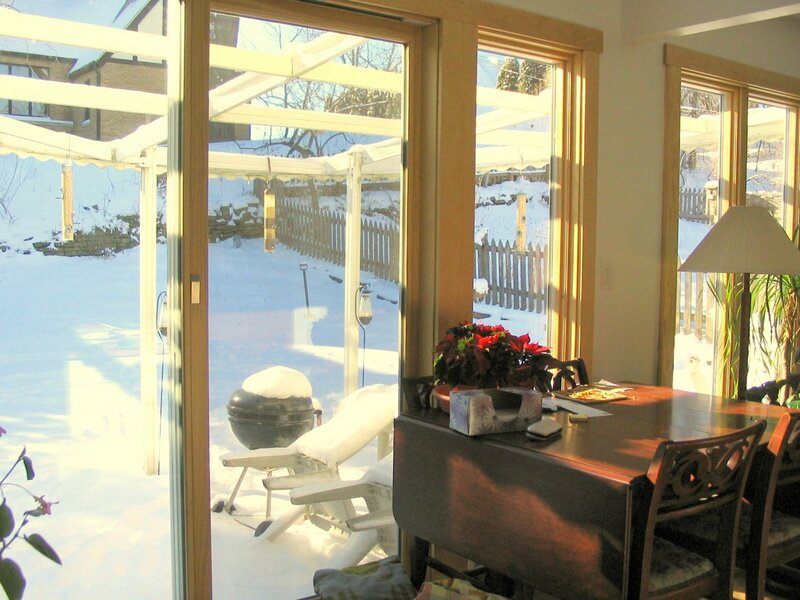 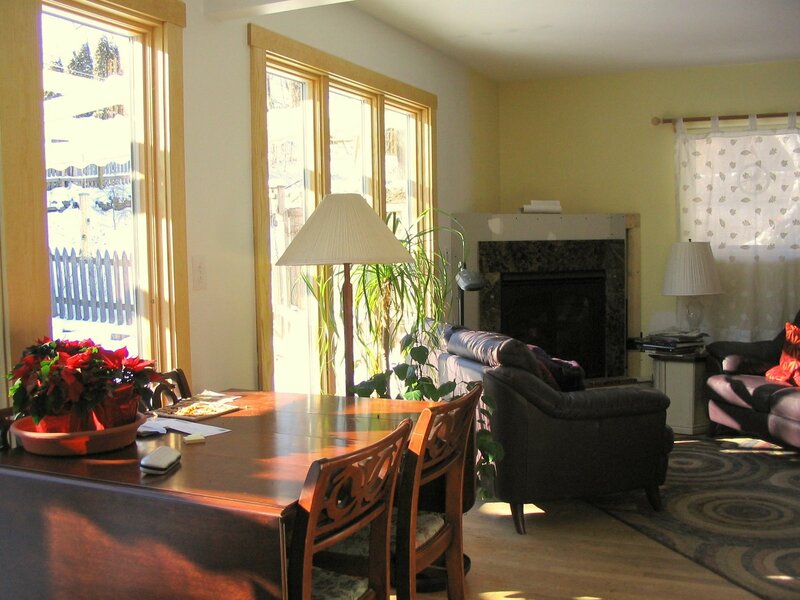 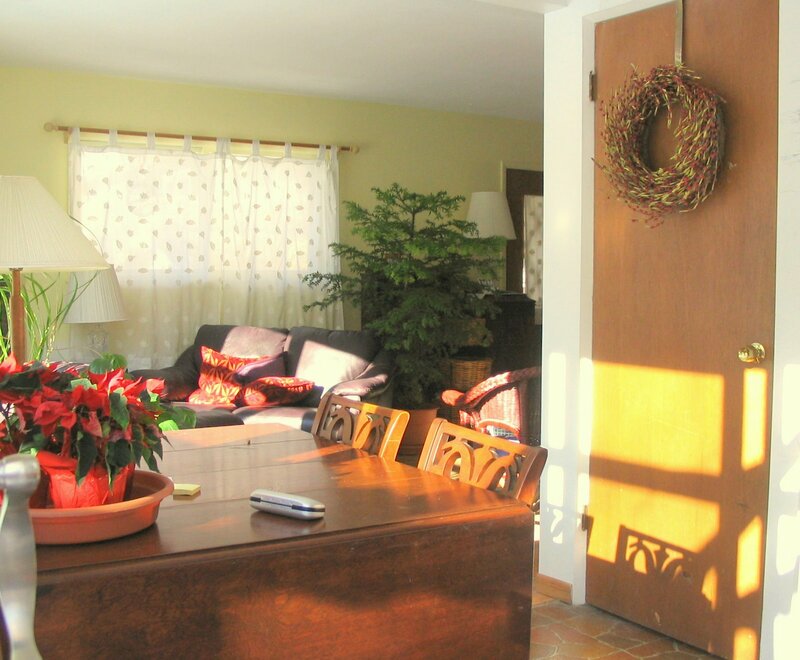 By removing a partition between eat-in kitchen and living room and replacing the outdated doors with low-E Andersen casement windows and a patio door unit, we increased insulation, energy efficiency, and brought light and space to the living area. 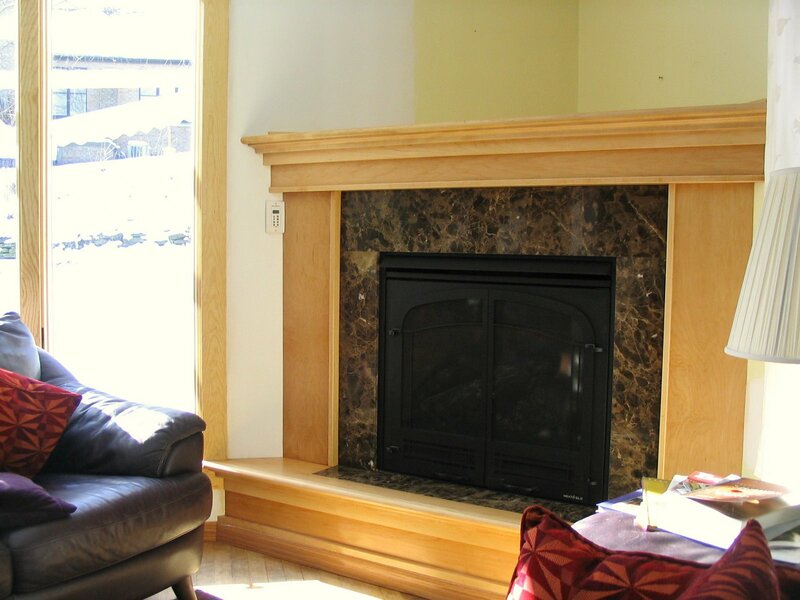 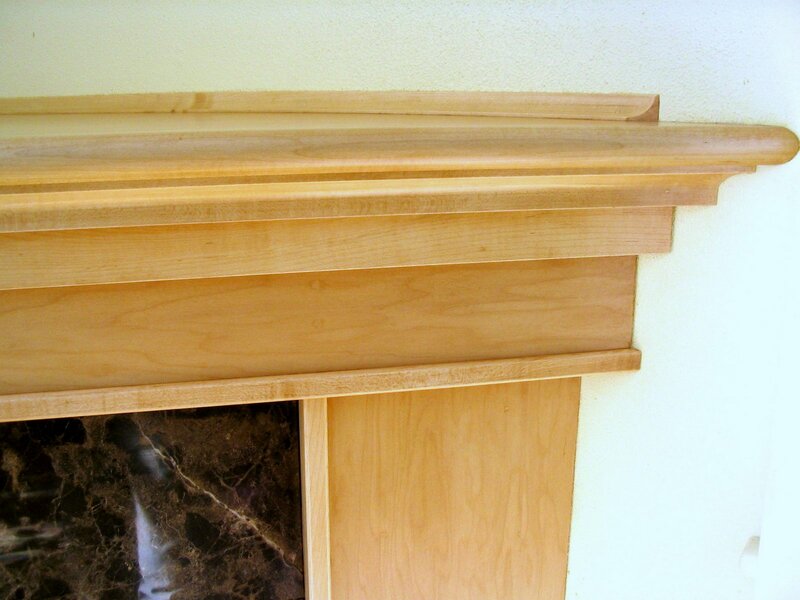 A new gas log fireplace and custom maple mantel complete the room.